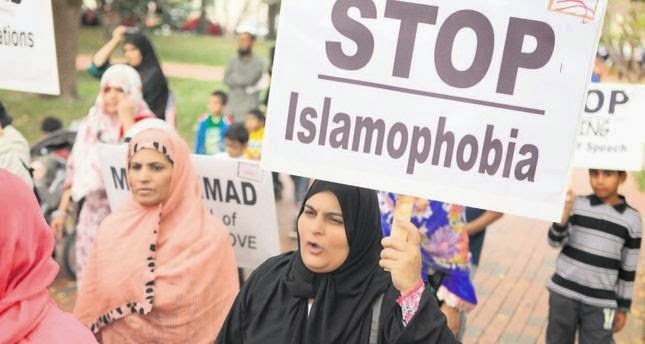 Recent events in Egypt, Tunisia and Turkey have unearthed deep-seated Islamophobic attitudes among a sizable segment of the population claiming the “nationalist secular” mantel and asserting the exclusive “sacred” right to undemocratically contest power on this basis. …[T]he common thread at present is the re-emergence of a distinct anti-Muslim and anti-Islamic attitude that conflates contestation of political policies and programs with its supposed origination in a “backward” and “religiously authoritarian” paradigm located in a distant “pre-modern” system. According to this belief Islam itself is the problem, as well as anyone epistemologically identified with it. In this context, Islam is viewed as backward, traditional, irrational and opposed to modern civilization, the same attitudes and perspectives held by the colonial powers in the not-so-distant past and contemporary Islamophobes in the West. The purported spokespeople have recycled every negative orientalist trope directed at Islam and Muslims over the past 250 plus years. By everyone’s favourite author Hatem Bazian, currently not living in Egypt, Tunisia or Turkey but holed up at U.C. Berkeley, California.